So for those of you that follow me on my social media you'll know we spent a fab 5 days in Dublin. 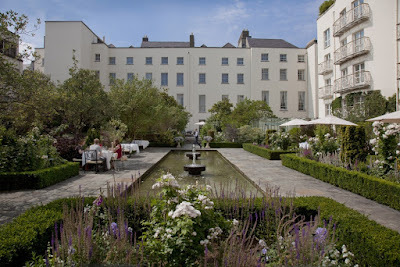 We stayed at The Merrion Hotel and it was incredible. Genuinely one of, if not the best hotel experiences I've encountered. Now, it wasn't actually the surroundings, building or the facilities (although they were fabulous) it was the people that work there. They are the best; most attentive without being intrusive, polite and efficient without the snobbery that you can sometimes encounter in other top hotels. They've had a host of top VIPS staying at the hotel and do you know what, I'm sure I was treated equally to any one of them. Breakfast was a delight. Both room service and in the restaurant were faultless. The recipe I'm sharing with you is one that I adapted from a breakfast loaf the chef kindly gave me. Afternoon Tea at The Merrion was a true delight. 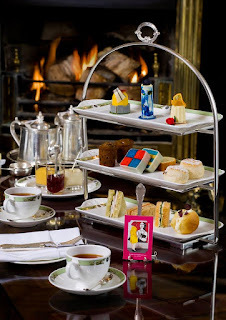 Recently my friend Eli & I had Tea at the Ritz and although the food and surroundings were beautiful we were rushed in and out within 70 minutes. At The Merrion the food was equally beautiful with the added treat of a harpist playing throughout and it felt leisurely and un-rushed. A perfect Tea experience. If like me you Love a Laugh then you MUST take the Viking Splash Tour. Honestly I can't remember the last time I laughed like that. It's the funnest way to see the city for sure. 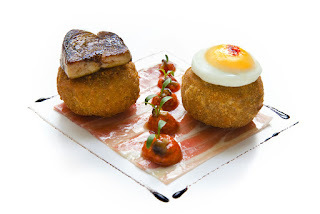 Now if it's a gastronomic experience you crave I can't recommend restaurant Patrick Guilbaud highly enough. OH MY GOODNESS, service incredible, ambience fabulous, food off the Richter scale. Every sensation was tantalised. 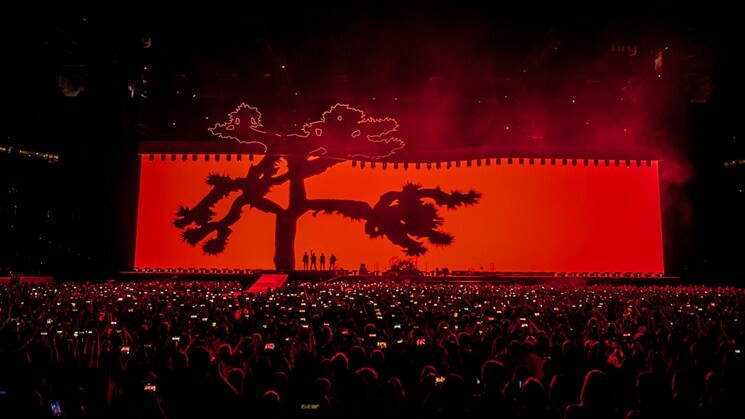 A night that will stay with me for a very long time. Saturday afternoon we went over to Temple Bar. 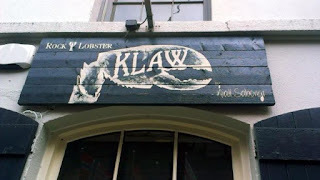 The gorgeous Gastro Gays had sent me some fabulous recommendations and Klaw was the first one we tried. We shared a few dishes because neither of us could chose just one. If you love fresh, great tasting sea food then genuinely you cannot afford to miss this place. I'm so grateful that the guys took the time to recommend it but be warned it is minuscule so be prepared for a wait and a bit of a squeeze. Saturday Night was epic. 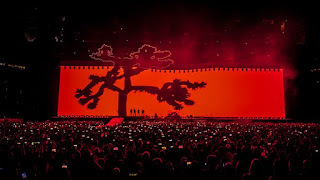 We went to see U2 with Noel Gallagher the supporting act. Both were unreal and the home town atmosphere was electric. On the way home the hubby was peckish but we should never have bothered stopping at the dreadful chinese near Croke Park. It has to be one of the worst meals I've picked at!!!!! Sunday was an early lunch at The Exchequer in Exchequer Street. I would recommend it. Great roast beef well cooked and very nice service. 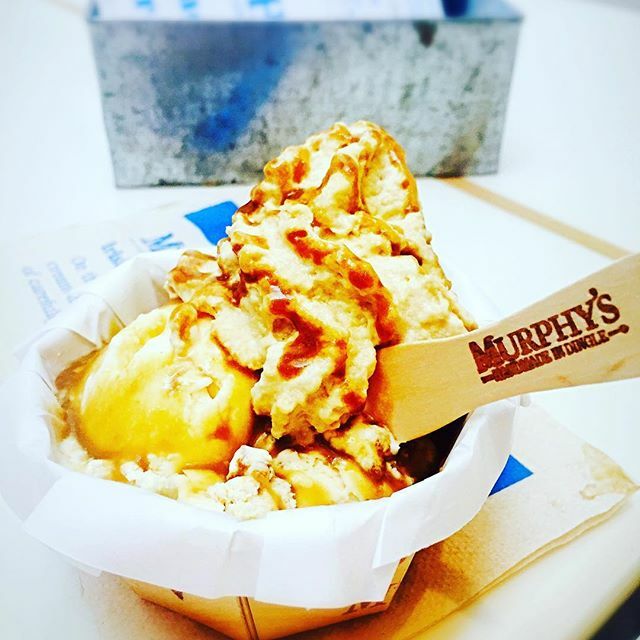 We then walked down to Murphys Ice Cream, another fab recommendation from The Gastro Gays. I'm not even a lover of Ice-cream but oh my, the brown bread flavour was to die for. 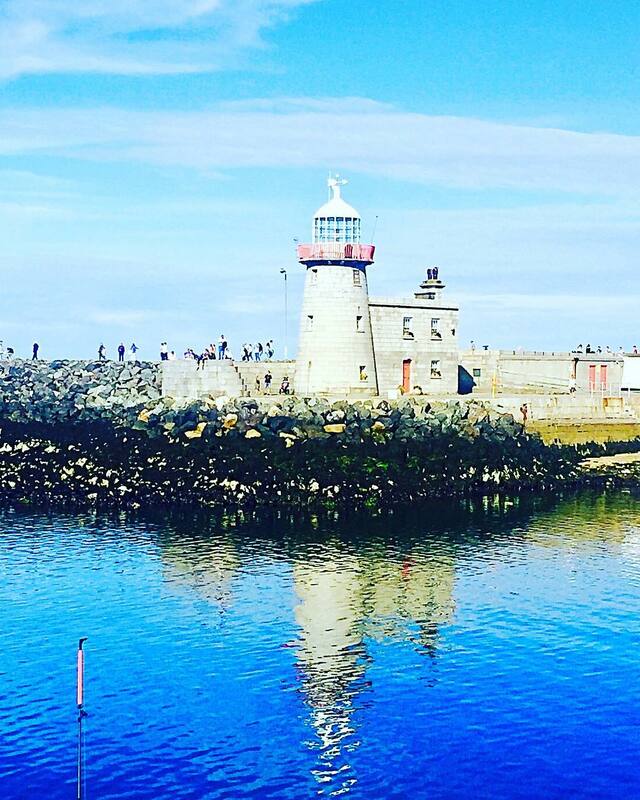 Sunday afternoon was a trip to the sea side village of Howth. 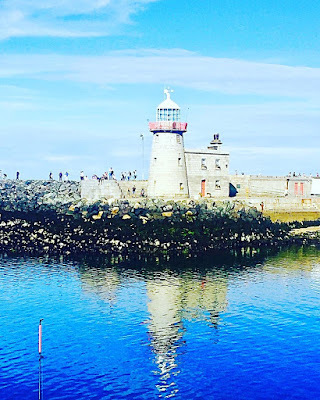 It was a beautifully different aspect to our Dublin trip, so much so the hubby is hankering after a holiday home on the beach there. If you're in Dublin please don't miss this Jewel of a place. It is a wonderful place to wander, with glorious little fish restaurants, tea rooms and pubs dotted along the front and an added delight musicians every few hundred yards doing their thing. Monday the hubby decided to have a lie in so I had a wander finding the most amazing coffee shop in Dawson Street called Best Seller. The coffee was divine but on top of that you feel like you've stepped back in time, honestly it really is a wonderful place. Once the hubsta surfaced we decided to take the City hop on & off bus. It was an absolutely beautiful day so we decided to hop off at Dublin Zoo. Now Zoo's generally make me feel quite sad but not Dublin Zoo. If I were an animal and couldn't live in my natural environment my choice of habitat would be here. Gorgeous large enclosures, spotlessly clean and all of the animals had plenty of mates and looked in tip top condition. We had Afternoon Tea booked at our hotel at 4:30 so we missed the 2nd half of the hop on hop off tour and caught a taxi back to the hotel. As I said earlier the Afternoon Tea exceeded all my expectations (I'm so critical of baked goods now). A quick swim and steam in the wonderful Tethra Spa and off to the airport. This cake was amongst the delights on the breakfast table at The Merrion. As soon as I tasted it I KNEW I needed the recipe. 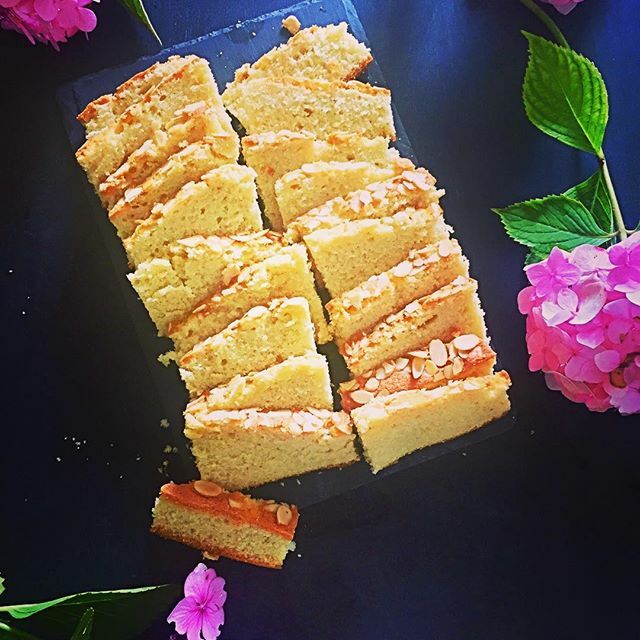 There has been a little juggling and I've replaced vanilla extract with almond and added a few ground almonds to the mix. 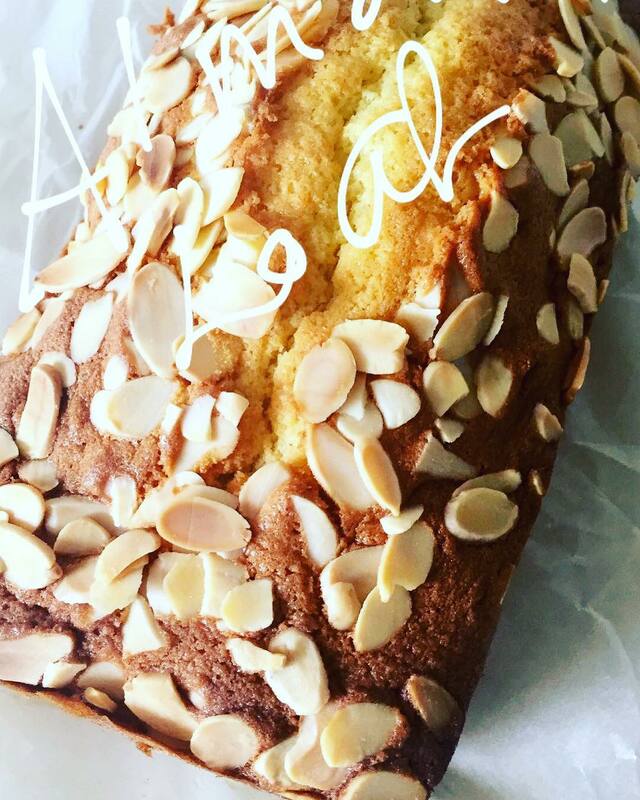 Except for the flaked almonds mix together all of the above ingredients until light and fluffy. Spoon in a lined 2lb loaf tin. 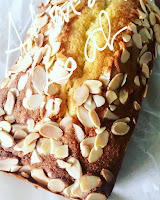 Sprinkle evenly with the flaked almonds and bake in the preheated oven for 55-70 mins until a cocktail stick comes out clean when pushed into the centre. Our ultimate favourite restaurant in Dublin is Etto, Merrion Row. On a Saturday, they have a great value lunch menu and the food is incredible. But if you love meat, they do a Cote De Boeuf for about €60 (good to share) and it's GORGEOUS! A good spot for dinner too, but best to try to reserve. There is a lovely ice-cream shop on Wicklow Street (just beside Grafton St) called Murphy's Ice Cream which went to religiously every time we went to Dublin before we move back. They do a brown bread ice cream, sea salt ice cream and a gin ice cream- all of them are fabulous to try. For cocktails, there's an old-fashioned stylish drinking den Peruke & Periwig on Dawson St, Vintage Cocktail Club in Temple Bar (speakeasy, you need to pre-book), Drury Buildings on Drury Street or Chelsea Drug Store on Georges St. For wine bars, you've got Cavern which is new and underground but a bit of a walk from the central point of the city as it's on Baggot Street; Piglet which is a great little Mediterranean wine bar with great food and unique wines on Cow's Lane in Temple Bar; and the longest-established is a little underground French spot called La Cave, which is right off Grafton Street. Likewise Woollen Mills or Winding Stair on Ormond Quay are both great for championing Irish produce but they are better for lunchtime bites. Other lunch spots to try are Brother Hubbard on Capel Street, Fallon & Byrne on Exchequer Street, Pickle (Indian) on Camden Street, Brasserie Sixty6 on Georges Street. Would I go back to Dublin ? Would I stay at The Merrion? Would I recommend Dublin and The Merrion ?